Understanding the Aging Process Leads to More Effective Orthodontics - James D. Reynolds, D.D.S., Ltd. If you’ve ever looked at younger photos of yourself, you’re sure to notice differences with your present appearance. Of course, your basic features might appear much the same. But maybe your lips seemed a little thicker back then, or your nose a bit less prominent. This is because your facial features don’t stop growing when you reach adulthood—they continue to change throughout your life. For example, lips reach their maximum thickness by around age 14 for girls or age 16 for boys; they’ll remain at that level of thickness for a few years before gradually thinning throughout adulthood. The nose will also continue to grow, becoming more prominent especially as changes in the lower part of the face can make the chin appear shorter. Although each of us ages at different rates and in different ways, these general physical trends are somewhat predictable. That’s why we can use the knowledge of how our facial physiology changes with age to fine tune orthodontic or other cosmetic dental treatments. The most optimum approach is to consider treatment in the early stages of bite development during childhood or early adolescence. This means we’re doing more than correcting a patient’s current bite: we’re also taking into account how tooth movement now might affect the jaw and facial structures later in life. By incorporating our understanding of age-related changes into our treatment we might be able to provide some hedge against the effects of aging. 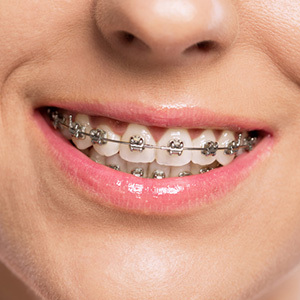 This approach starts with early comprehensive dental care, preferably before a child’s first birthday, and an orthodontic evaluation at around age 6 to assess bite development. It may also be necessary to initiate interceptive treatment at an early age to lessen or even eliminate a growing bite problem to help ease the extent of future treatment. And if a bite requires correction, early evaluation can help create a timetable for effective treatment in later years. Taking this approach can correct problems now affecting both dental health and appearance. But by acknowledging the aging process in our treatments, we can build the foundation for a beautiful smile well into the future. If you would like more information on keeping an attractive smile throughout your life, please contact us or schedule an appointment for a consultation.